Interactive fountains are loaded with the latest technology and have quickly become one of our most requested fountains. These water features literally come to life and bring laughter and joy to those who are around. Perfect for summer installments, visitors, and children everywhere, interactive fountains will bring delight to any person. However, interactive fountains include complex technological components, precision construction and finely crafted designs. All these operations must be expertly coordinated to ensure an efficient, delay-free fountain installation. Most of all, operating an interactive fountain should be handled by trained and experienced professionals. We value safety and do so by ensuring that every rule and regulation needed to build an interactive fountain is understood, executed and reviewed. We understand that any improper construction or operation expose other to risk, project delays and even the spread of waterborne illnesses. Southern Aquatics INC., has years of experience building fountains all over the country and are familiar with these guidelines nationwide. In order to protect your visitors as well as your investment, we have included some important things to know for the construction and operation of an interactive fountain. We’ve built a lot of fountains in the past 10 years in business and are now a trusted name in aquatic fixtures. Here are some pointers on how to properly manage and maintain an interactive fountain for your visitor’s safety and enjoyment. First and foremost, ensure your fountain is built by experienced craftsmen who have a reputation in installing parts, construction, maintenance and operation. A properly built fountain will be free from pools of water which may cause trips, slips, or fall hazards. In the event any parts of a fountain fail or malfunction, postpone public use immediately until repairs can be made. Part of building a safe interactive fountain having an effective splash zone. Depending on the size of the fountain, every splash zone will be sloped appropriately to ensure only water from the fountain flows back to the reservoir to be recycled. Any water features in the surrounding areas should be sloped away from all collecting drains. Because splash zones recycle fountain water, the immediate area surrounding the splash zones should be free of plants and vegetation. Slips and falls around and interactive fountain are an easily avoided injury that can be almost eliminated by precautionary measures. Non-slip decking is an essential detail to protect every spectator and should extend over the entire spray pad which should be in regulation with state laws. The safest decks are made from a uniform and easily cleaned material. The deck should also be cut out resistant and anti-mold coated. Interactive pumps use efficient recirculation pumps to gather and propel water. The pumps also push the reclaimed water through disinfection and filtration systems. If any issues occur with the recirculation pump it is extremely important to discontinue public access until the necessary repairs are made. It is also very important for visitors of your interactive fountain to understand that the recirculated water is not safe to drink. We recommend posting a sign near the fountain so that visitors are aware. These quick and helpful guidelines should help you get started on making your interactive fountain a safer, more enjoyable attraction. At Southern Aquatics, we take pride in our annual employee training, which certifies all of our employees in keeping your fountain safe and running. All equipment operators have the necessary certifications to guarantee proper installation, and all of our supervisors are OSHA certified. It is our goal to always stay educated on the latest safety regulations. 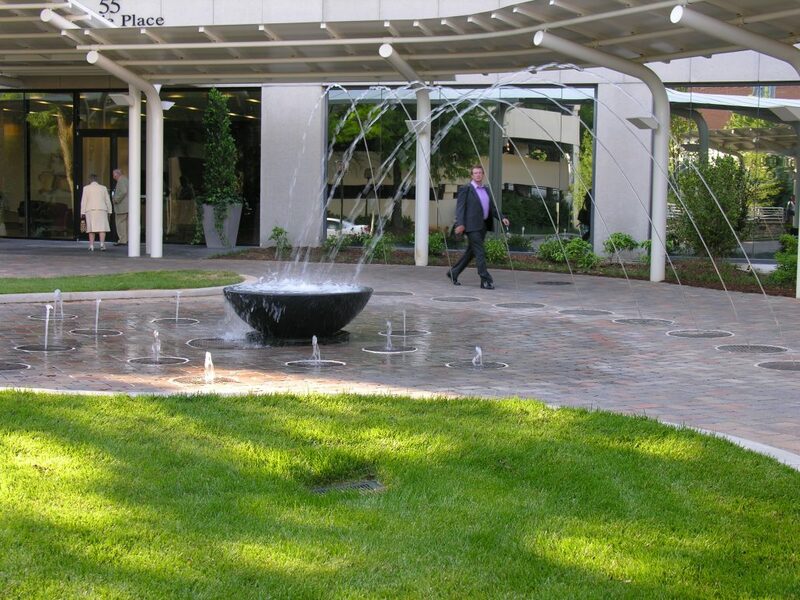 Contact us today if you are interested in the construction of your own interactive fountain!